Nothing beats finding much-anticipated parcels in the mailbox - other than sending packages of your own designs out to fans. 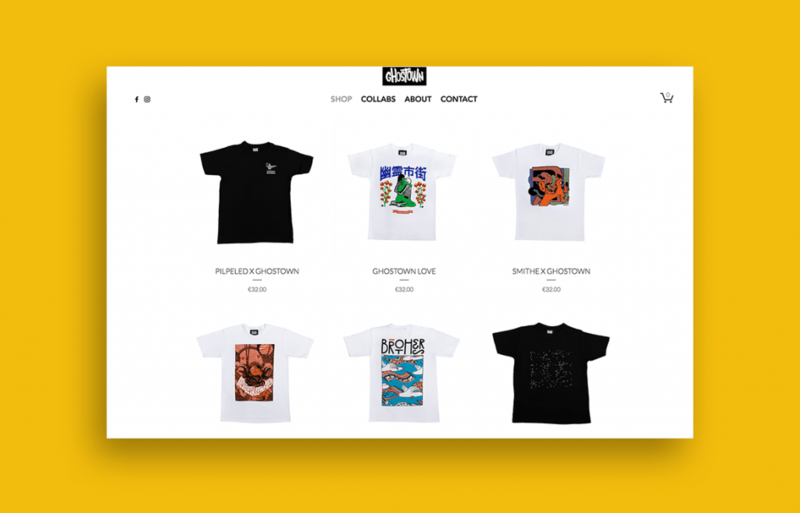 Here's everything you need to know to set up a successful online store. Many designers have a hard time promoting their own work because of how very personal it is for them. It’s not like you’re an employee wearing a logo across your chest, repeating corporate-crafted sentences that you’ve been instructed to smile along to. This time, it has to do with your own artwork that you’ve worked hard on creating. To some extent, what you’re selling is even a representation of who you are as a person and artist. But in order to give your work the promotion it deserves, you must put all of that aside and focus not on yourself, but on a brand. One way to feel more detached is to give your brand a name that is different from your own, if you find that to be easier. Now that you’ve created a small brand, the logical step that follows is, you guessed it – branding. Your online store doesn’t need to include all of your past projects. Instead, try to form a collection of works that is cohesive and speaks a similar language. Having established your tone, make sure that the same vibe is carried across your entire brand – from the design of your online portfolio and store to its logo and the promotional materials that you use (more on promotions in a little bit). We recommend creating your personal set of brand rules. This should cover the same topics you would think of for any other branding project – including a color palette, fonts and general look-and-feel. Creating a unified visual language will help in making your brand feel tailored and whole. 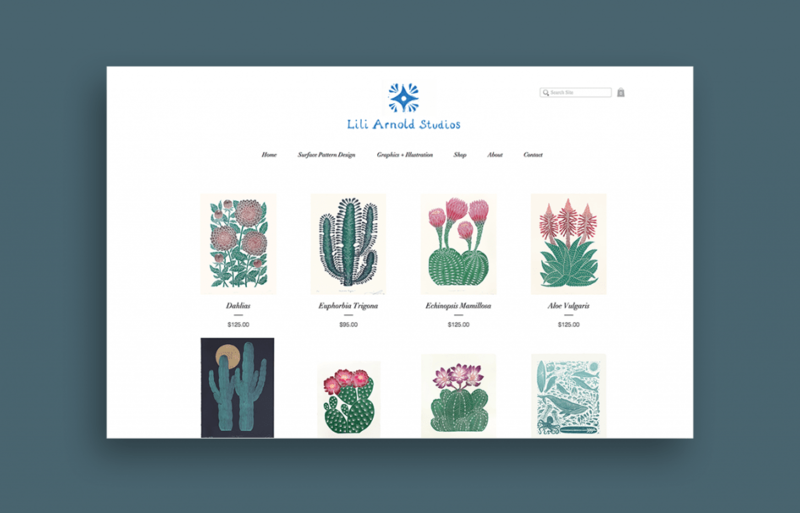 Lili Arnold’s Wix store offers a variety of original linocut prints. See how Wix user Lili Arnold, artist and designer based in Santa Cruz, California, is extremely versatile in her commercial work – from her wonderfully illustrated music posters to her digital infographics and textile pattern designs. And yet despite her wide range of expertise, Lili’s online shop sticks to a single well-defined aesthetic, which is where her true personal passion lies: linocut block printmaking, mainly botanical. The same vibe is carried across Lili’s personal logo, business card and Instagram feed, so that browsing through her different channels leaves a feeling of a strong persona with highly recognizable (and stylish) visuals. And this, in essence, is what branding is all about. – Bring your products to life with photos or mockups: You may have poured your heart and soul onto a piece of paper or a Photoshop screen, but it’s better to show your art in action if you want to make it truly desirable. Bring it to the real world as a framed poster in a beautiful living room, or as a tote bag hanging on someone’s well-dressed shoulder. You can do this either by taking photos of your products or by creating mockups (many online mockups look just as great as the real thing). For either photos or mockups, make sure to keep your designs consistent with your brand and its spirit. Show off your designs by creating a mockup. – Add interactive effects: Another easy way add some pizazz to your store is with smooth additional touches, such as hover effects and a magnifying glass. Not only do these effects make shopping for your products more fun and interactive, but they can also be used to convey more information about the items in your store. – Hover effects: These gems offer a great opportunity to display a bit more about each of your products, before actually clicking on them. Or in other words – lure in potential customers. 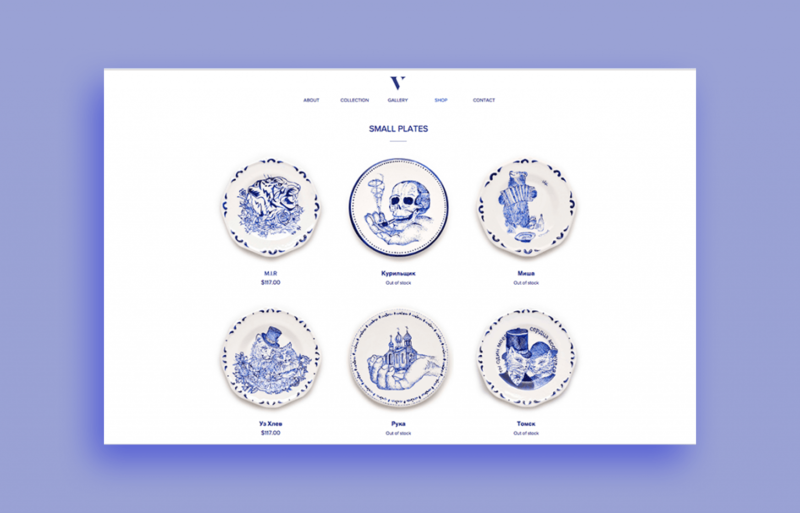 Hover effects can be used to zoom in on a product, like Wix user Valeria Monis did on her online shop of painted ceramics. They can also introduce a different version of the same product. Notice how when hovered over, the enamel pins on The Hidden Hand Society’s Wix store reveal an additional color scheme for the same item. – Magnifying glass: Add a magnifying glass to your product pages, so that site visitors can zoom in on all the small details that make your artwork one of a kind. You have a beautiful store with a coherent aesthetic language all set up and ready to go. Now, how do you get the sales pouring in? The number one way to promote your online shop is with social media. Here, too, everything you do should be in line with your store’s brand. After getting acquainted with these 11 Instagram tips for designers, remember to use social media in a way that allows you to form a community around your art and products. – Keep your tone of voice personal: Social media is an opportunity for your followers to get to know you better. Be authentic and speak honestly about sales, creativity and your inspiration. Let your fans know if you’re excited about the launch of a new product, or when you see a color combination that sparks your imagination. This will make your brand feel relatable and create a connection that feels real. – Sales and discounts: Use social media as an outlet for announcing sales, discounts, or contests. Giveaways are another way to introduce your products to a new fan base, but be careful to not give away freebies too often, so as not to make it a habit. Whichever type of promotion you go for, it should, as always, remain aligned with the rest of your branding – in its colors, type and general vibe. Notice how artist collective Ghostown announce their Black Friday sale with a beautifully designed post that features a detail of one of their T-shirts, as well as mentions the sale in both the image and in the post’s caption, directing visitors to their Wix website. It’s recommended to try to sync your promotions to the special events on the calendar. Try to plan ahead several weeks in advance, so that your posts are designed and ready to go up by each holiday or new season that you feel like celebrating. Ghostown has a new and improved website! This weekend we will have a huge Black Friday sale on EVERYTHING. Don’t miss it! – Announce new or upcoming products: Let your followers know whenever you add new items to your store, with a post inviting them to check it out. You can also build up anticipation by sneak peeking into something that’s about to be released, prior to actually putting it up for sale. Look how Wix user and animator Hannah Jacobs‘ post puts you in the right mood for a jolly new T-shirt. – Engage with followers: Having real people using your products and posting their own images is a golden opportunity for you to show your items out and about. It’s a fun, honest way of showing just how happy your customers are with their purchase – and it can make new customers excited about the same items, too. Another way to engage users with your product is by inviting them to vote on quick polls. Offer fans to get involved in your work process with light and fun questions. 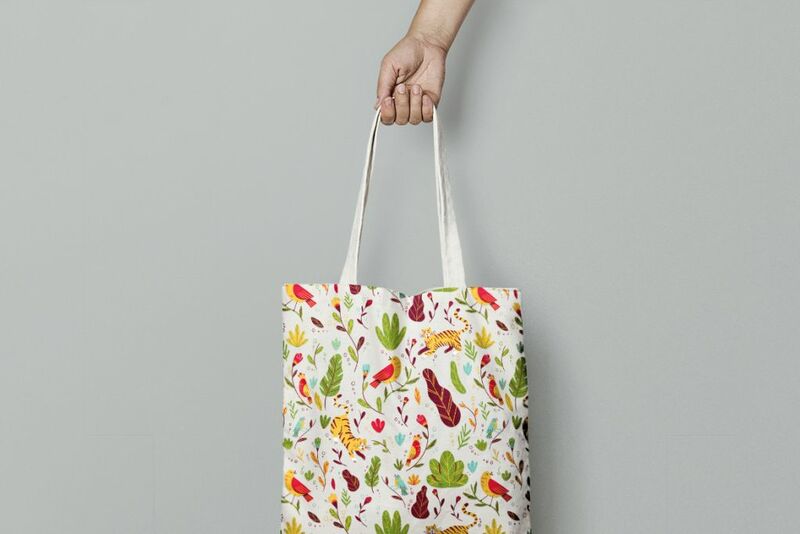 Some examples can be – what new product would they like to see your designs on – smartphone cases or pillowcases? Or, which out of two similar designs would they prefer to be added to your store. – Set your pricing: Determining the right price is always a tough call. Going too high risks scaring off potential customers, while going too low won’t provide you with your well-deserved profit. The best way to go about it is to check out a few of your peers’ stores, and match their price range to yours. Look for designers who are roughly at a similar level as you. It might be easier to compare numbers than to objectively value your own work, so we recommend finding people with similar amounts of social followers as you. Once you’ve found an average price range that feels right, price each piece or product individually. Here, take into consideration different variables such as the type of item (is a T-shirt more or less expensive than a poster? ), the amount of time you spent creating it, the cost of the materials and how popular a particular design is. – Delivered with love: If you use Wix Art Store, then printing, packing and shipping are all taken care of for you, commission-free – so that you don’t have to worry about any of the technicalities. In case you choose to pack and deliver your goods yourself, be sure to make your parcels just as branded as everything else you do. Attach a small note, stamp your logo or anything else that can add a personal touch to the packaging. Check out Lili Arnold’s highlighted story for her pro advice on packaging posters the right way. Ready to start selling? 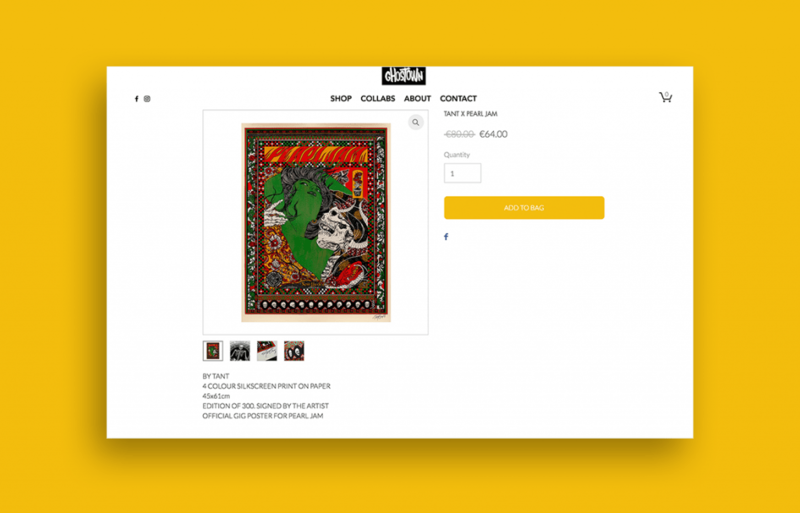 Set up your Wix Art Store now!